What The Hell Have Asking Alexandria Done To Nine Inch Nails’ “Closer”? The promotional run for Punk Goes 90s Vol 2 continues today with the release of Asking Alexandria‘s cover of the classic Nine Inch Nails track, “Closer.” It’s dark, violent, loud, and guaranteed to piss off the vast majority of Trent Reznor fanboys. Opening in such a way as to reference the original without being an exact copy, the first half of Asking Alexandria’s take on “Closer” is a fairly by-the-numbers take on the song all lifelong alternative fans have committed to memory. 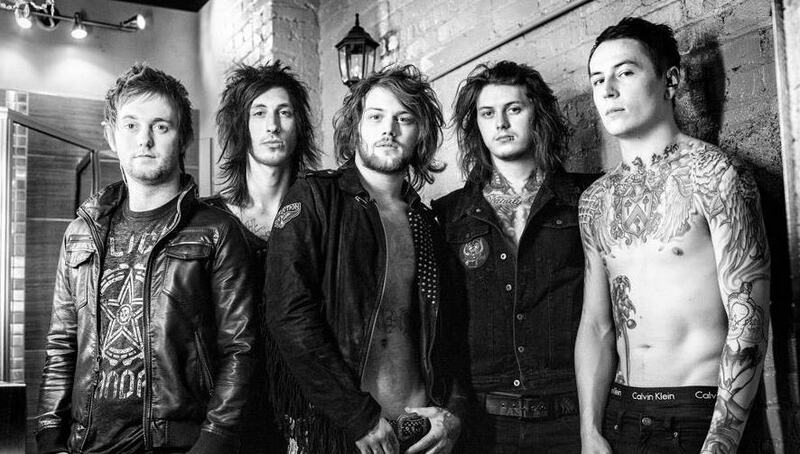 Around the halfway point however, the band’s heavier influences begin to show, and the remainder of the song is a mixed bag of over-produced vocals from Danny Worsnop meshed with a wall-of-sound that desperately wants to make the song more ‘tough.’ These efforts fail, but not enough to completely ruin the experience. You can stream AA’s take on “Closer” below. Punk Goes 90s Vol 2 is scheduled for release in early April through our friends at Fearless Records. We will be reviewing the album, and in the weeks ahead you can expect a few more streams to find their way online. We can only hope the next one is better than this, or at least on par with the Lit cover Get Scared delivered in January. This makes my heart and ears hurt. I actually thoroughly liked it until the second half. Was impressed. Left depressed. not bad! definitely feels a little forced though. First half feels good. Last half feels like they tried a bit too hard to ‘make it their own,’ when they already had a good thing going. They threw away the whole literal interpretation of “punk” long ago with these compilations….